You could be part of an intimate Boston audience to be entertained by singer, songwriter and guitarist James Morrison. James (five UK top ten hits: You Give Me Something, Wonderful World, You Make It Real, Broken Strings and I Won’t Let You Go; four top ten albums: Undiscovered and The Awakening which both soared to top slot, Songs For You Truths For Me which went to number two and Higher Than Here) will perform live at Blackfriars Theatre. His “Up Close” concert on Wednesday, April 24, is in association with Lincs FM and supported by Boston Borough Council, visitbostonuk.com, the Guildhall Museum and the Geoff Moulder Leisure Complex. Tickets are only available from LincsFM and it has 80 pairs of ticket to give away. 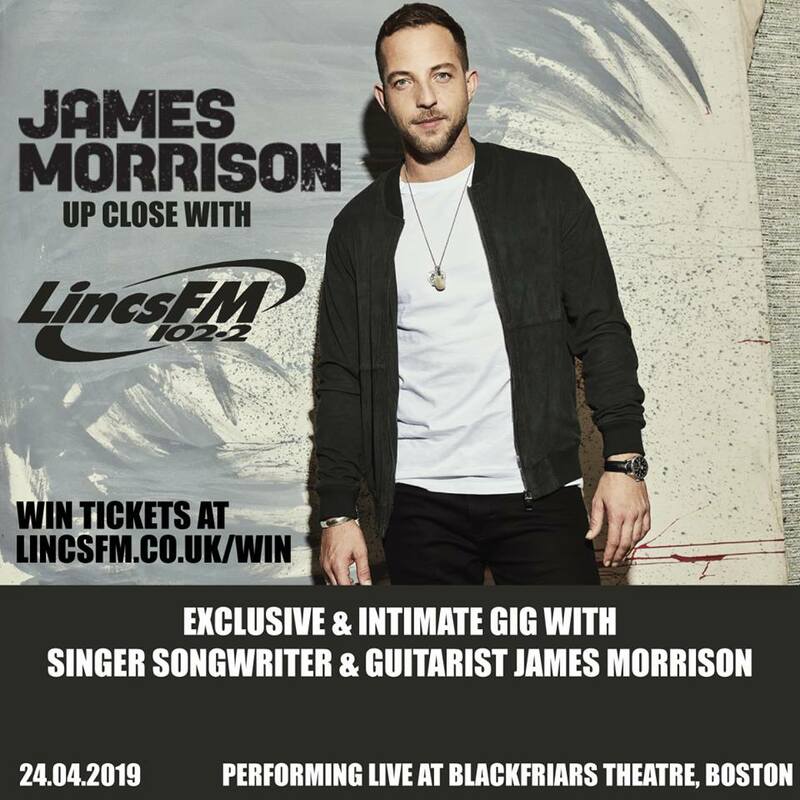 For a chance of winning go to https://www.lincsfm.co.uk/win/up-close-with-james-morrison/ but hurry, as the deadline for entries is a minute to midnight this Sunday (April 14).